Reiss McNally gets up for a header against Fairfield Villa. Picture by Paul Smith. Reiss McNally (right) challenges Fairfield's Daniel Wilkes. Pictures by Paul Smith. 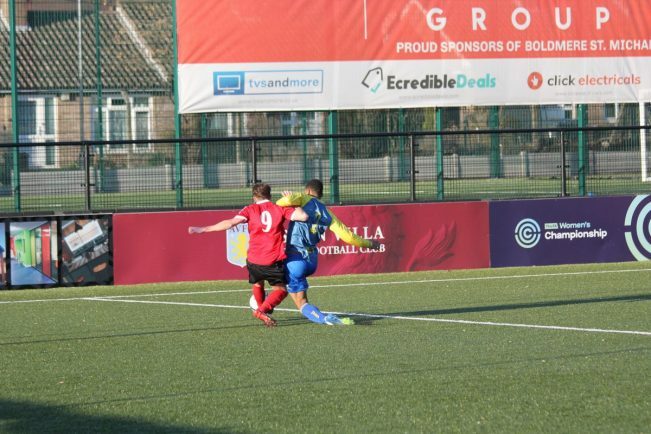 Solihull Moors Academy showed grit and determination to grind out a 2-1 win at home to Fairfield Villa last Saturday, writes Bradley Rice. Sam Manoochehri’s young side displayed a maturity beyond their years as they battled back from a goal down to claim all three points. In the first half Fairfield imposed themselves as Sam’s young side were overwhelmed by their physicality. Moors were stifled, unable to settle into any kind of rhythm with Fairfield causing them problems at the back. 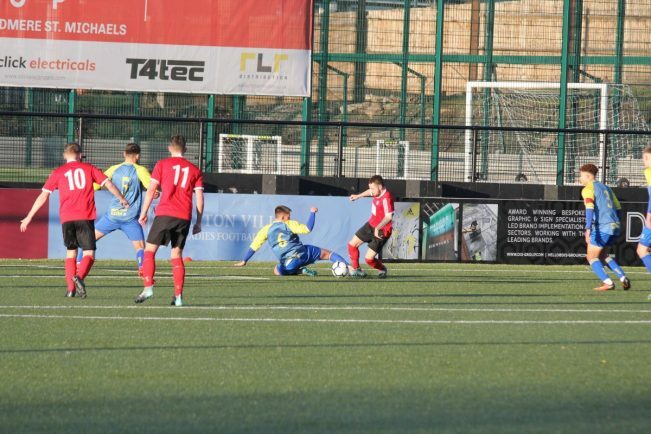 A loose clearance fell to Fairfield, and with the Moors defence failing to reorganise, the ball was slid through to winger Ellis Blakemore to rifle home. Moors were clearly rocked by the goal and were fortunate not to fall even further behind. First Blakemore fired wide, before the home side almost put through their own net. Cain Thomas’ header cannoned off his own player and had to be cleared off the line by Nathan Binner. Then, as half time neared, Moors dragged themselves back into the game completely against the run of play. 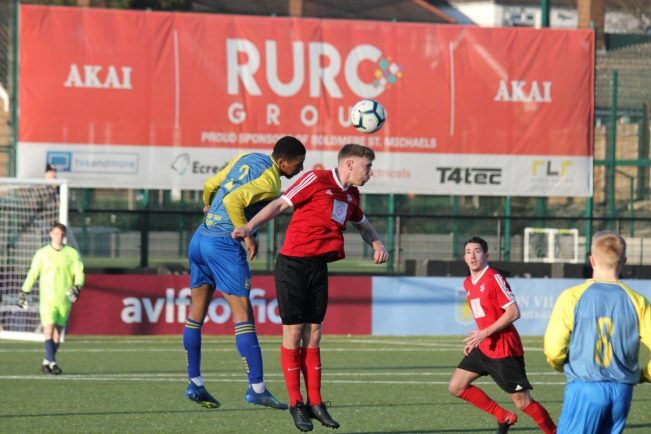 The referee played advantage after a foul on Rubyn Gill, but he managed to deliver a cross into Arman Khooshkoo, who rose above his marker and looped a header over the keeper. Perhaps it was the goal, or maybe it was U21s manager Sam Manoochehri’s half-time team talk but whatever it was, it worked. Moors had a renewed vigour after the interval and began to assert themselves. Although just before the hour, the home side survived a scare. Two big chances fell the way of Fairfield but keeper Ben Maxwell thwarted them. Five minutes later, Moors nicked ahead. McNally made a foray from fullback before playing a perfectly weighted pass through to Khooshkoo, confidently rounding the keeper to grab his second of the game. But, the game was far from over as Fairfield came back at Moors in search of an equaliser. Centre-halves Kendrick and Thomas were called upon to make vital blocks and clearances, the home defence standing firm to secure the win. Manager Sam Manoochehri was over the moon at his side’s ability to close the game out. “On the last two occasions we conceded at the death against Fairfield but at the weekend, we stayed resolute,” he said. 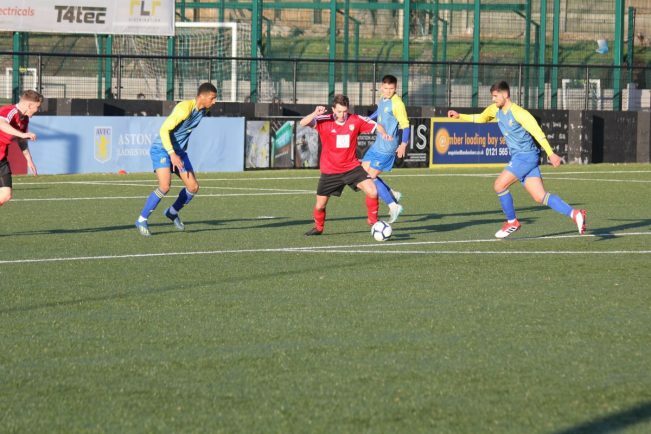 Moors Academy head to Knowle (2:30pm) on Saturday, taking place at The Robins Nest on Hampton Road (B93 0NX). Bradley Rice can be found writing for his blog – Half-Time Oranges – where he provides original insights into the beautiful game from a number of different angles, all sharing the same trend of focusing on real stories from real people.